There is a new Smokey Bones Deal available. 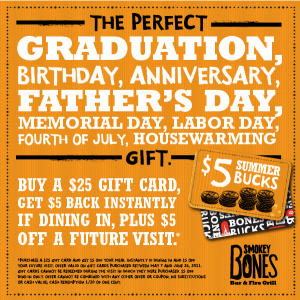 When you buy a $25 Smokey Bones Gift Card, you get $5 back instantly and $5 off on a future visit! That’s a pretty sweet deal if you ask me.